The glacier currently has a 150cm (five foot) snow base and will be open from 7am daily so skiers and boarders can get on the slopes early to make the most of snow before the afternoon thaw sets in. Dachstein joins the still-open-since-2008 Kauntertal, Kitzsteinhorn, Stubai and Tux glaciers. Kaunertal currently reports a snow depth of 40-140cm (16 - 56 inches) with five lifts open serving a variety of terrain including the resort's terrain park. Kitzsteinhorn above Kaprun closes for a week next week for maintenance but in the meantime there's up to 303cm (just over 10 feet) of snow to enjoy on upper slopes, and still more than 80cm (nearly three feet) at the base of the summer ski area. 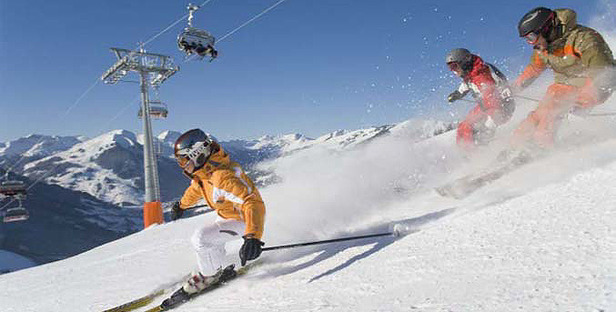 The Stubai has a 280cm (over nine foot) base at 3,000m and seven runs - blues and reds - open, served by 11 lifts. Tux has a 325cm (nearly 11 foot) snow base and perhaps the largest ski area currently open in Europe with 42km (27 miles) of piste still open, served by 10 lifts.